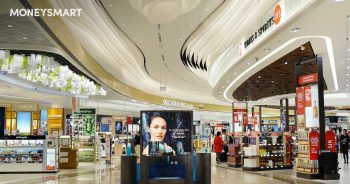 The Green Party is a new chain of budget gift shops, with outlets at Plaza Singapura, Bedok Mall, Downtown East and Northpoint currently. Upon first glance, it looks like a Miniso clone, only dressed up differently. 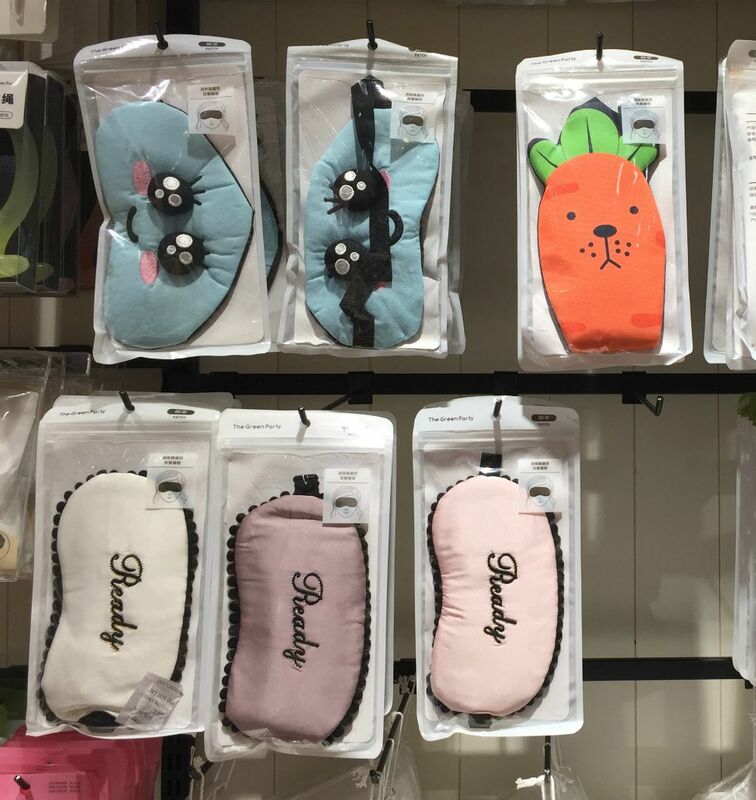 Yes – yet another budget lifestyle goods shop full of adorable things you don’t actually need. Everyone knows someone who desperately needs more sleep. If you don’t, take a look around your office – there’s bound to be one or two zombies. A cheap sleep mask like this will remind them to take a nap every now and then. Novelty eye masks from shops like Typo can cost close to $10, the cheap sleep masks at The Green Party cost just a few dollars but look similar in quality. 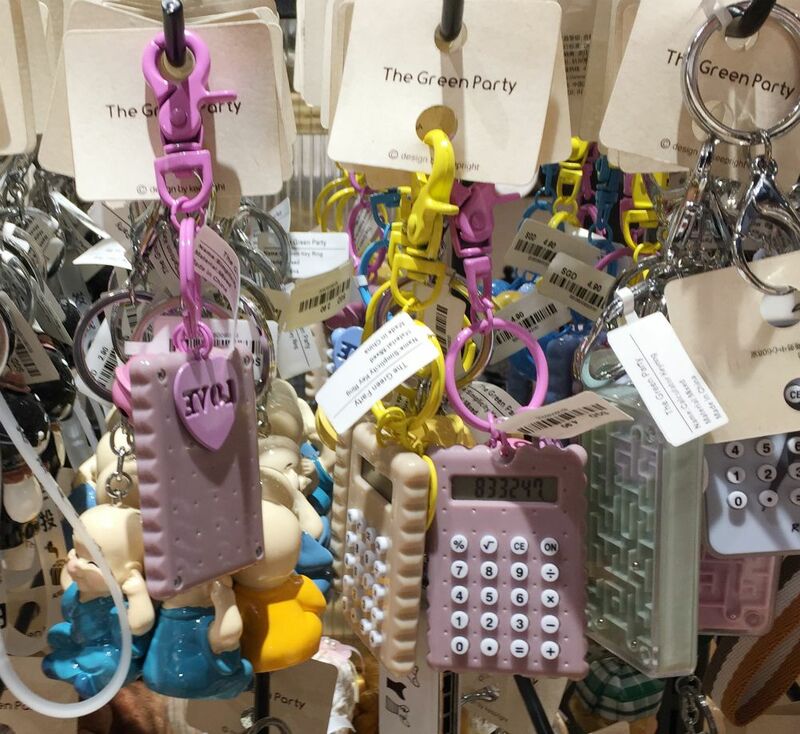 It’s been decades since I considered keychains an appropriate gift – what is this, primary school? 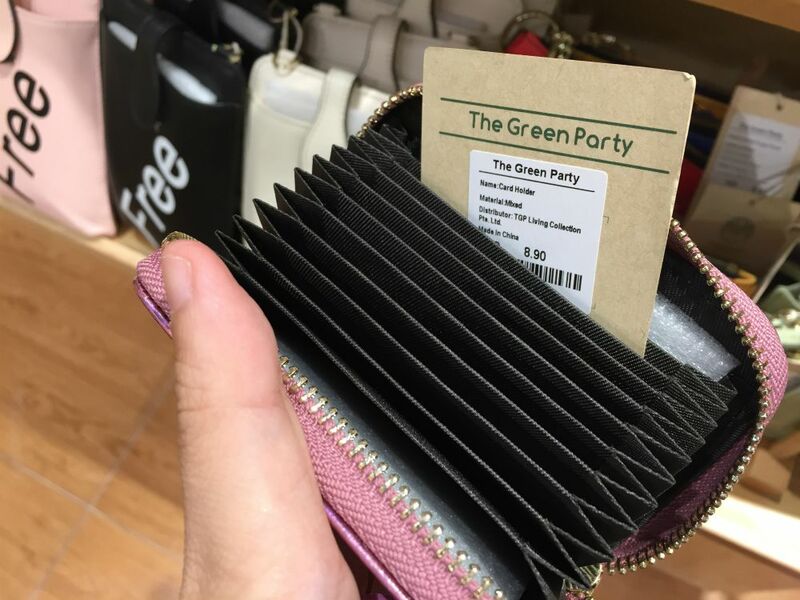 – but when I came across these at The Green Party, I thought they would make cute yet practical gifts. 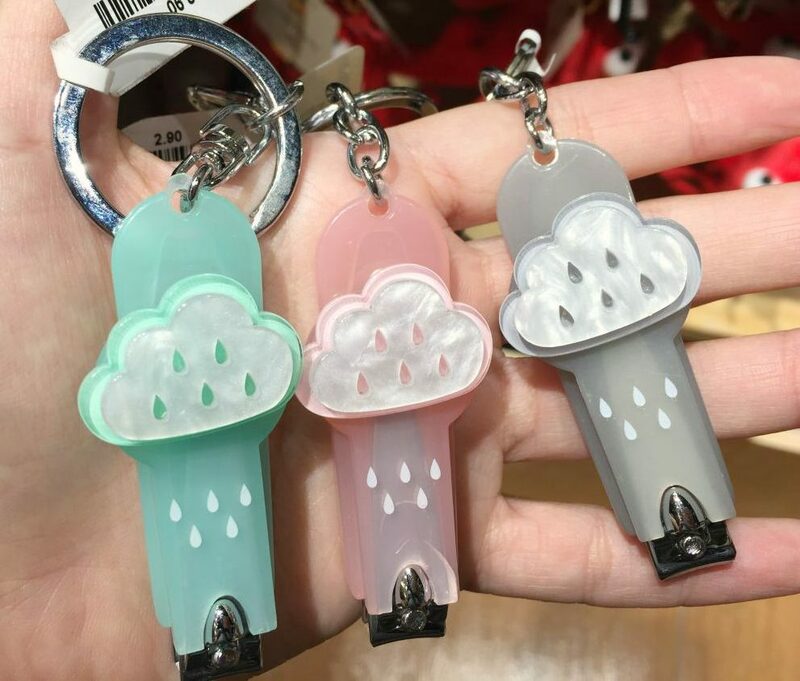 I mean, who wouldn’t want some raincloud nail clippers ($2.90) or a little biscuit-shaped calculator ($4.90) within easy reach? And considering that real nail clippers and calculators cost at least that much, you won’t be paying a premium for cuteness either. You know that person who always automatically volunteers to take minutes at meetings (while everyone secretly feels relieved and slightly ashamed at the same time)? 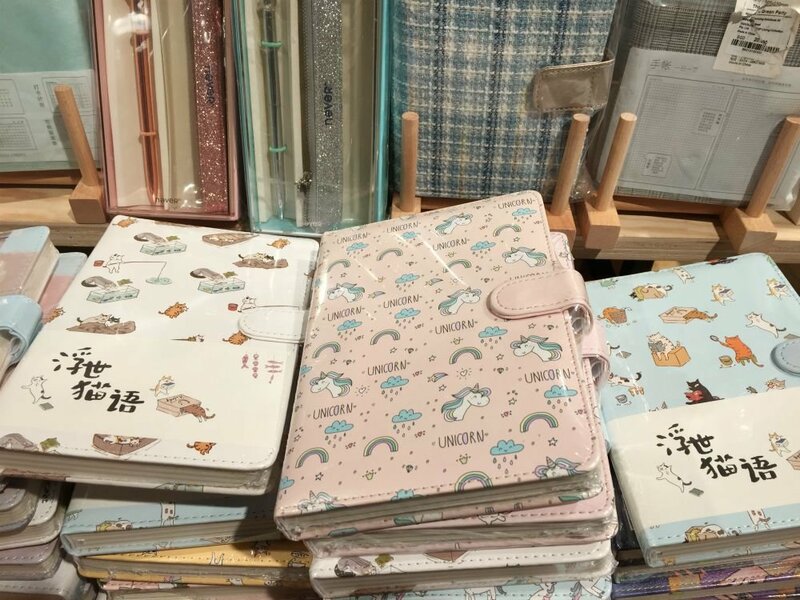 Show your gratitude and encourage him/her to continue taking notes with a nice notebook. But not the Popular bookshop kind lah. 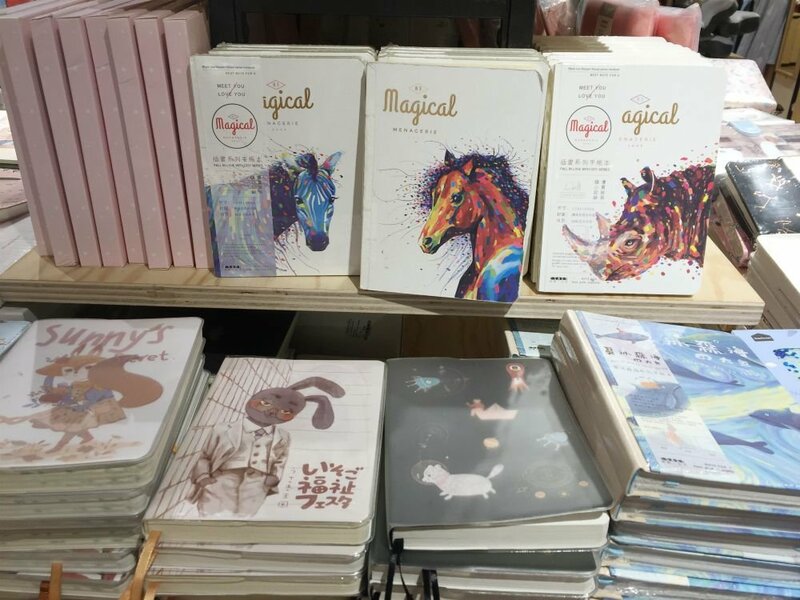 Fancy notebooks of the Typo variety typically cost at least $12, while premium brands like the Paper Bunny or Moleskine can go up to $30 or more. The Green Party’s selection, on the other hand, are all less than $10 and are of pretty good quality too. Christmas is the time when people show off their new BTOs at parties. 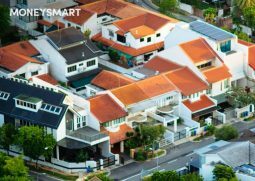 If you’ve been invited to one, you might want get a Christmas gift that doubles up as a housewarming gift too. Tableware and cutlery are always practical, but rather than get a bland IKEA set, you can get one with a bit more personality at The Green Party. 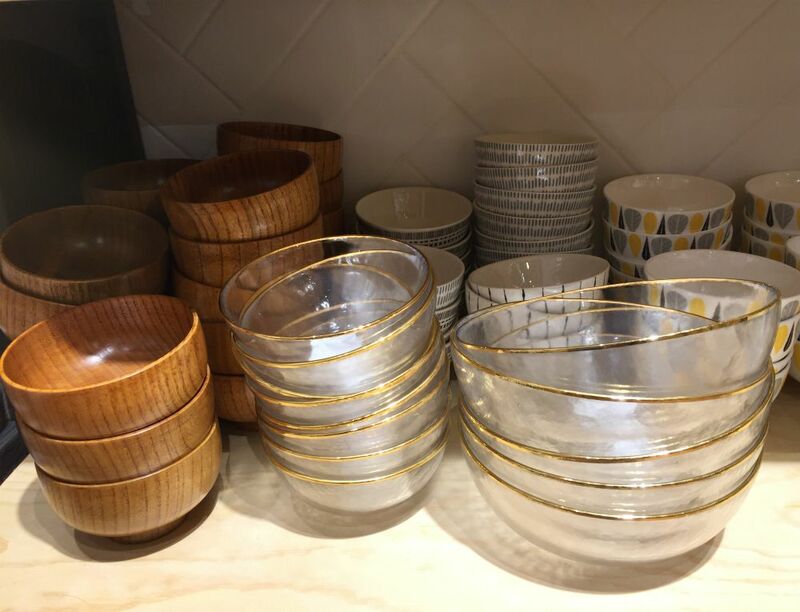 I liked their Muji-ish wooden bowls ($7.90) and the pretty gold-rimmed glass bowls ($6.90 small, $9.90 big). 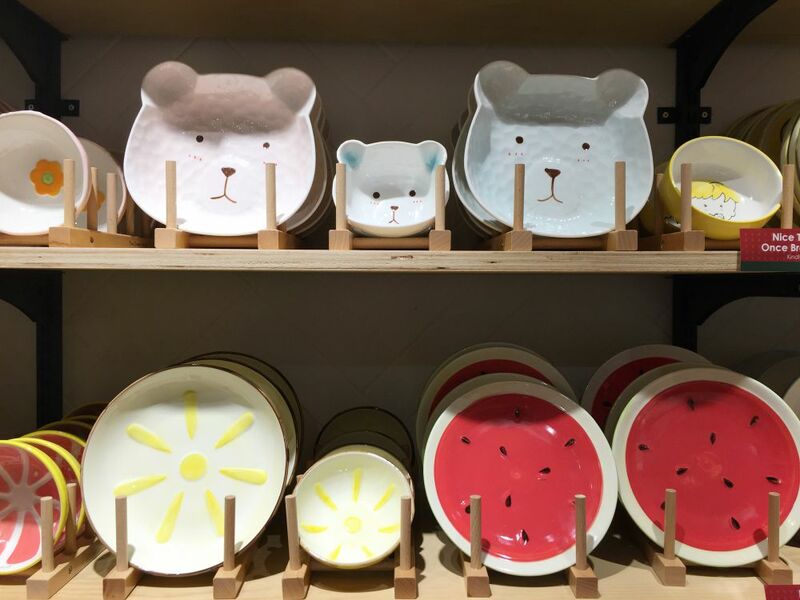 If your friend’s tastes runs towards the cutesy side, these bear and fruit bowls and plates ($5.90 small, $8.90 big) are super adorable and good quality too. 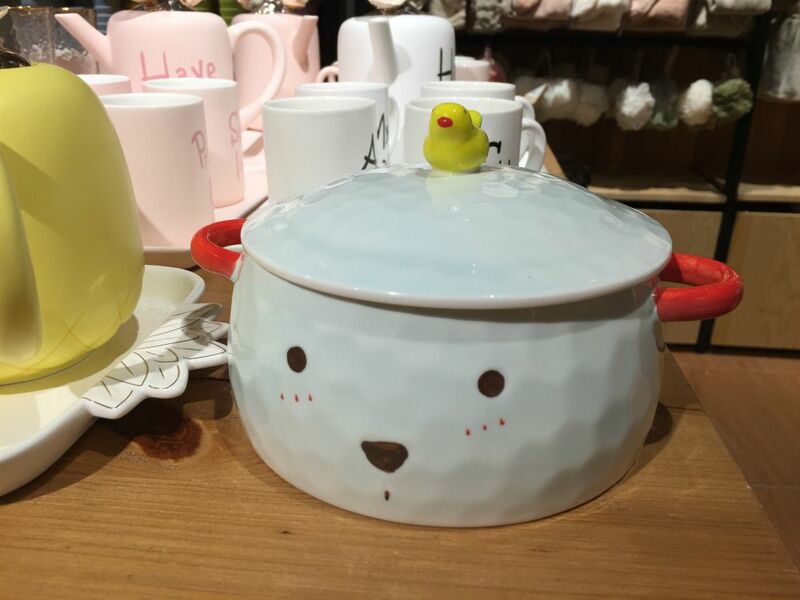 There’s also a matching bear serving pot with lid which is a steal at $12.90. Surely you must know someone at work who still uses styrofoam cups to make coffee at the pantry, instead of a reusable tumbler or coffee mug like everyone else. Maybe this adorable and ergonomic coffee cup will encourage him or her to stop destroying the ozone layer. The best part is the screw-on lid, which prevents hot beverage spills and keeps out dirt when the cup if not in use. 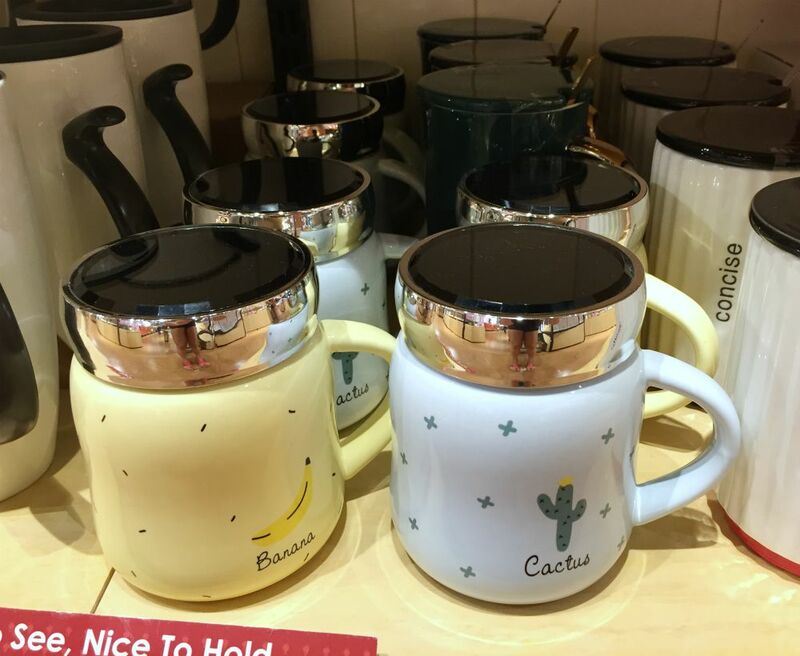 This particular design isn’t easy to find – the closest thing I found online was a $15 “Star Bucks” mug on Lazada. There are certain people whose junk-filled wallets make your hair stand on end. Consider gifting them this hologram purse. It appears to be a normal-looking cardholder, but when you open it up, it’s an accordion with over 10 slots. 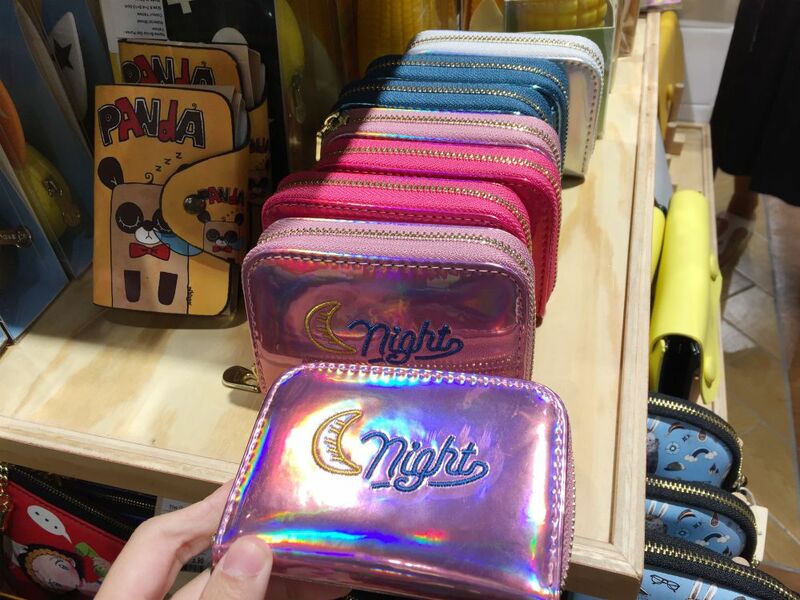 If the kitsch hologram design isn’t quite your giftee’s style, there are similar products online. Just search “accordion purse” (or wallet). Here’s a classy tasselled one ($12.14) and a plain one with key section ($14.50) I found on Lazada. Observe your coworkers for a day and you will most probably catch one of them fidgeting and squirming in their seat the whole time. (That would be me, dear MoneySmart colleagues.) That person would love one of these deliciously plush neck or back cushions from The Green Party. They range from $12.90 (small ones for neck support) to $17.90 (large square ones for lumbar support), which is extremely reasonable given the quality. 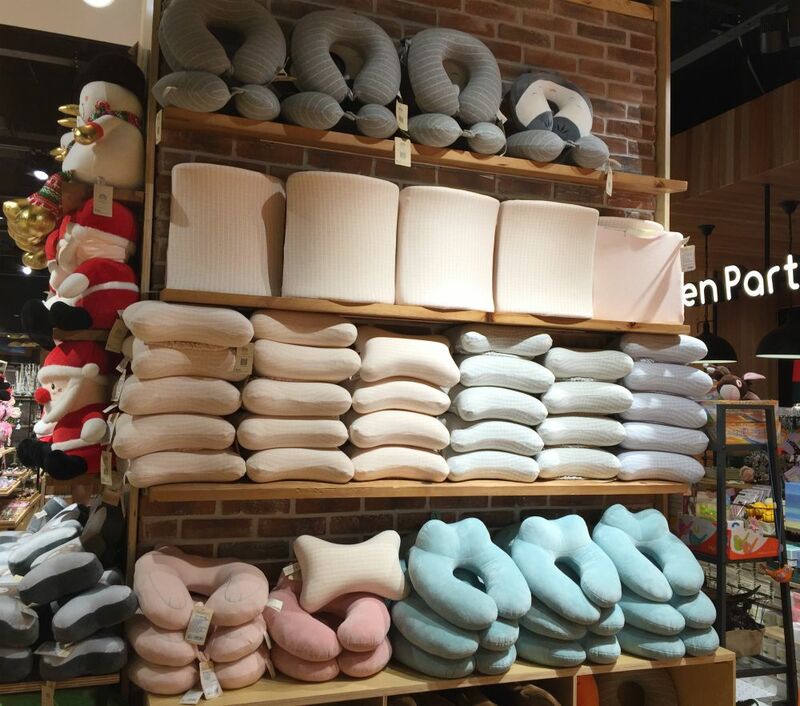 Having personally squished them, I’ve found them to be pretty similar to Muji’s $33 memory foam cushion. The super soft covers are also also removable and washable. 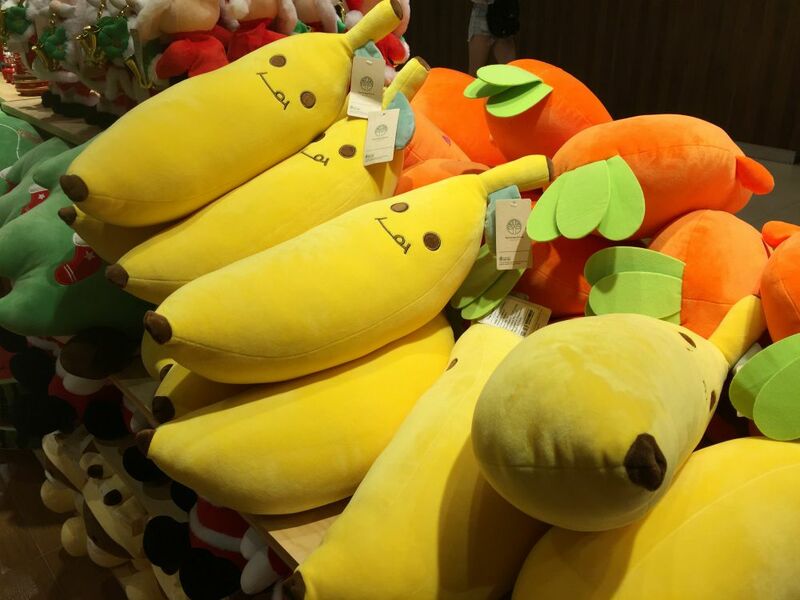 As with Miniso, the Green Party’s selection of big, soft plush toys are some of the most attractive buys in store. 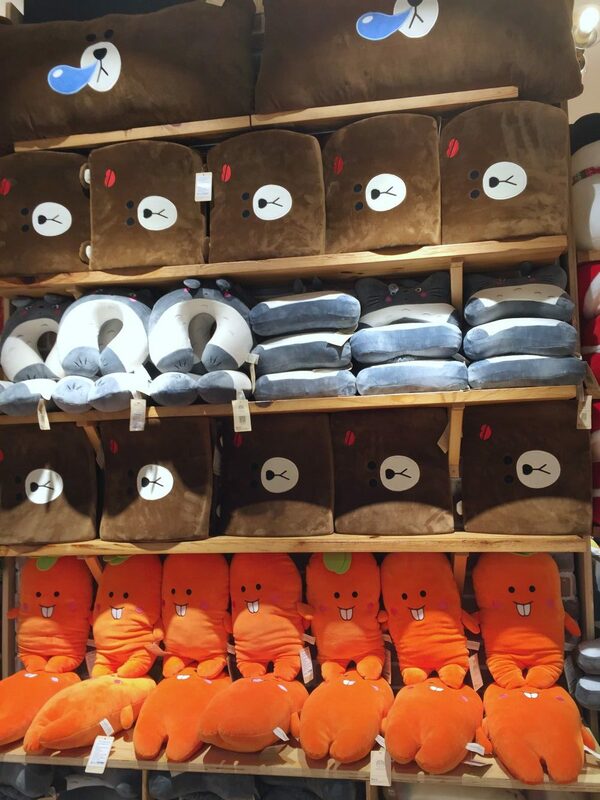 Whether you’re shopping for an actual child or the baby of your crew/team, he or she will probably love one of these big huggable toys. 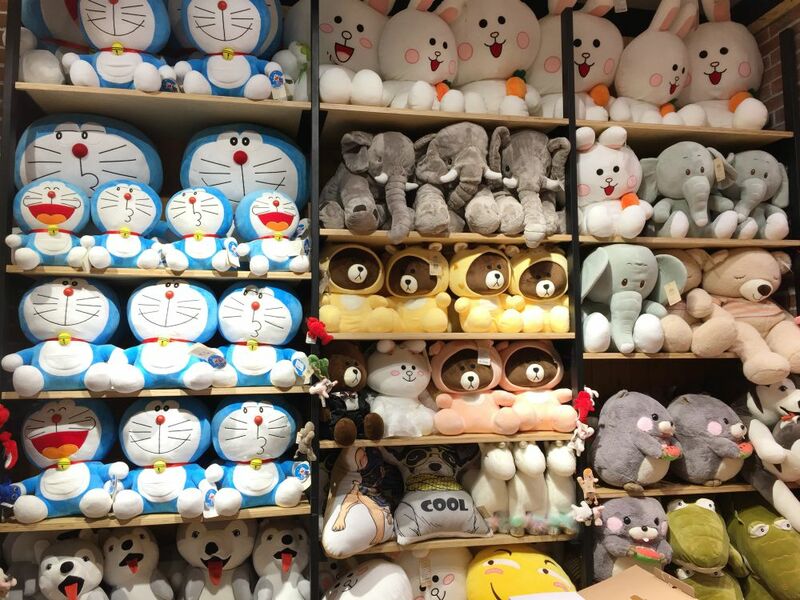 That big carrot/banana or Doraemon (medium size) stuffed toy will set you back only $18.90, and while others cost more, they’re mostly under $30. 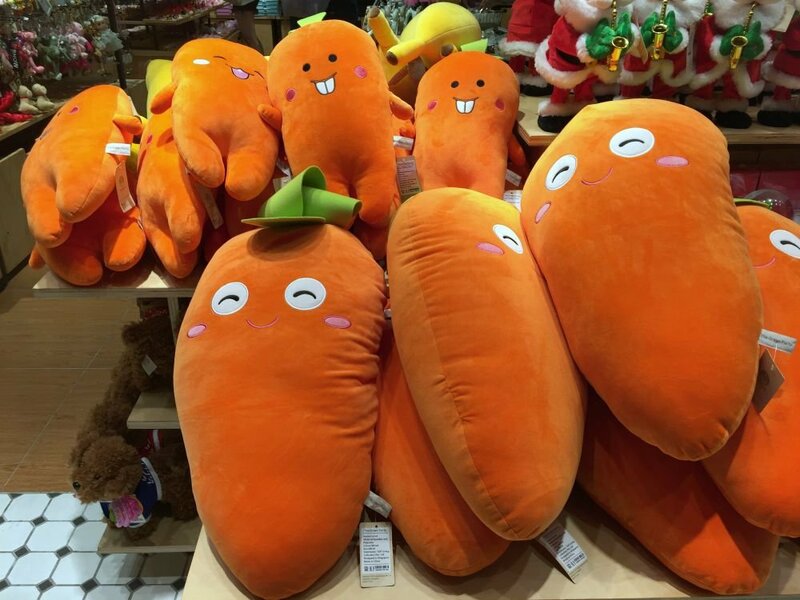 These may not be the absolute cheapest plushies that money can buy (say, compared to Taobao plushies) but it’s safe to say that they’re definitely value-for-money when you consider the quality and size. If your giftee is the type who’s always punctual, always on track with schedules, and always has a Plan B, he or she is also probably the type who appreciates umbrellas. 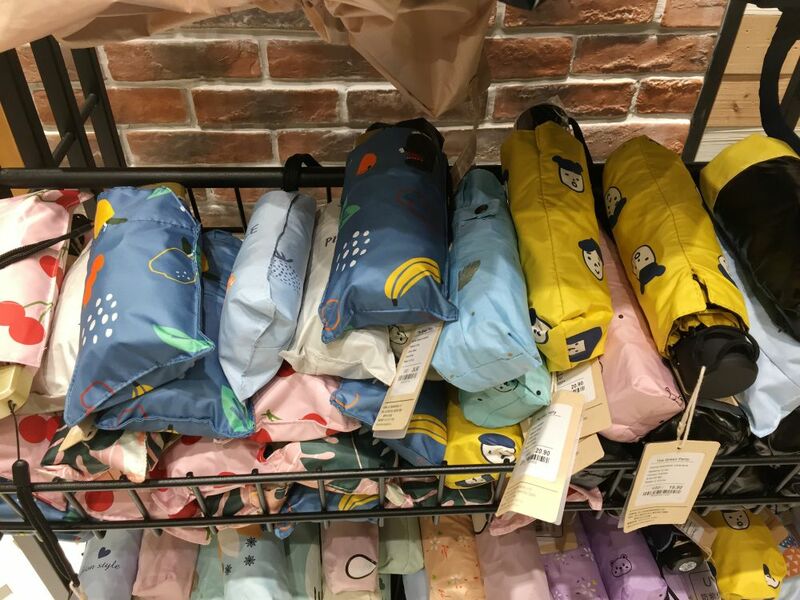 The umbrellas here aren’t the cheapest you can find – there are always plain brollies under $10, classic Daiso umbrellas ($2) and corporate gifts (free) – but you’re paying more for the design. The illustrations are really nice and will brighten up a gloomy rainy day. All right, so this old school alarm clock isn’t going to impress your friend, specs-wise… but then, what would? 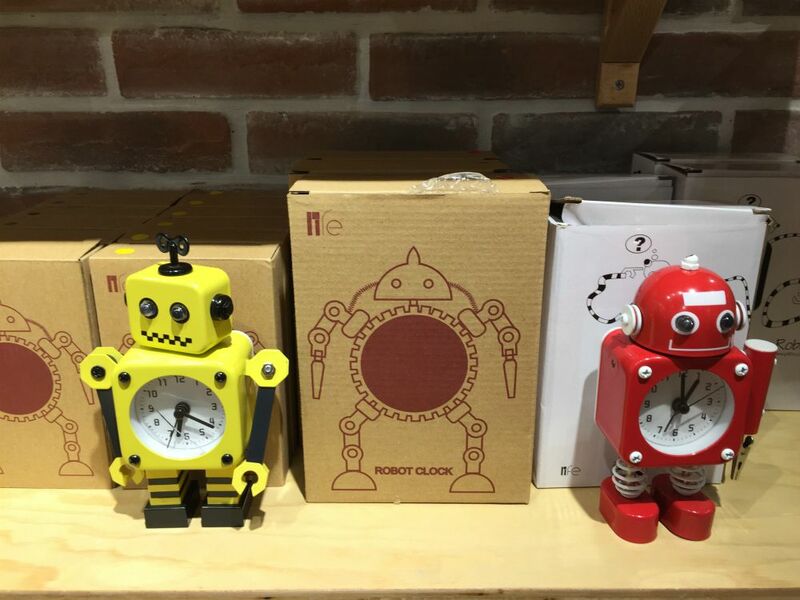 For the nerd, I’d go for this analogue clock with a cute retro-techie aesthetic. If your friend got all the references in Ready Player One, they’ll love it. 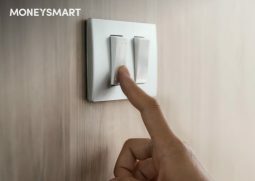 According to the description, its eyes actually light up when the alarm goes off. Cute! For some reason, this style of alarm clock isn’t cheap online. Most sellers are selling this for at least $30, and best price I found was $23.20 from Lazada. So I think it’s still quite worth it to buy it from the store where you can check the item first. Know someone who got an iPhone XS or Google Pixel 3 and just won’t stop yakking about it? If you haven’t unfriended them yet, you might as well get them a cute accessory for their favourite thing on earth. Most wireless chargers on the market come in a standard disc-shaped design, and you can easily snag one for about $20. But this mushroom design is cute and unusual enough to justify paying a bit more. 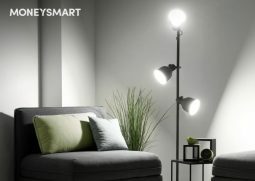 The mushroom doubles as a night light so it’s perfect for bedside charging. However, you might want to shop online for a cheaper deal. 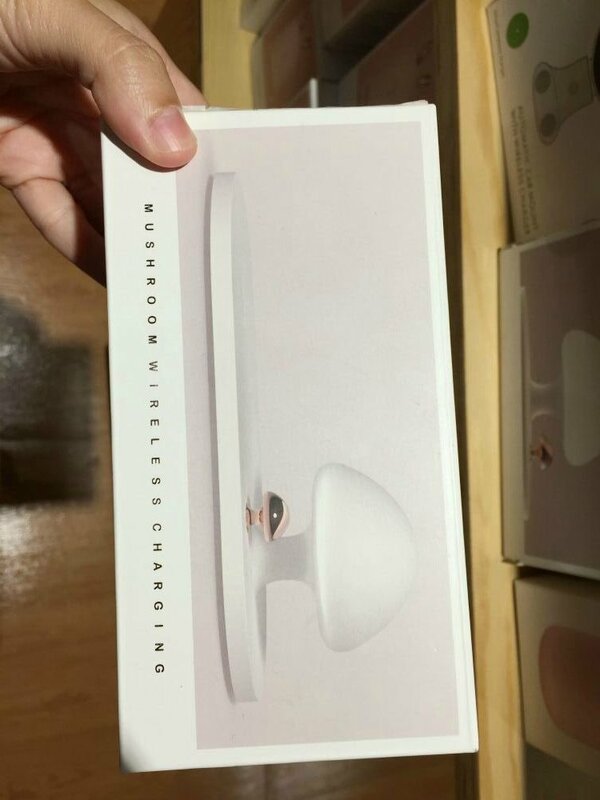 For example, I found this Baseus wireless charger in the exact same design going for only $16.10 on Shopee. Have you checked out The Green Party yet? 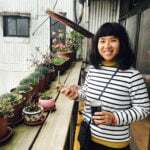 What are your favourite finds? Share with us in the comments!